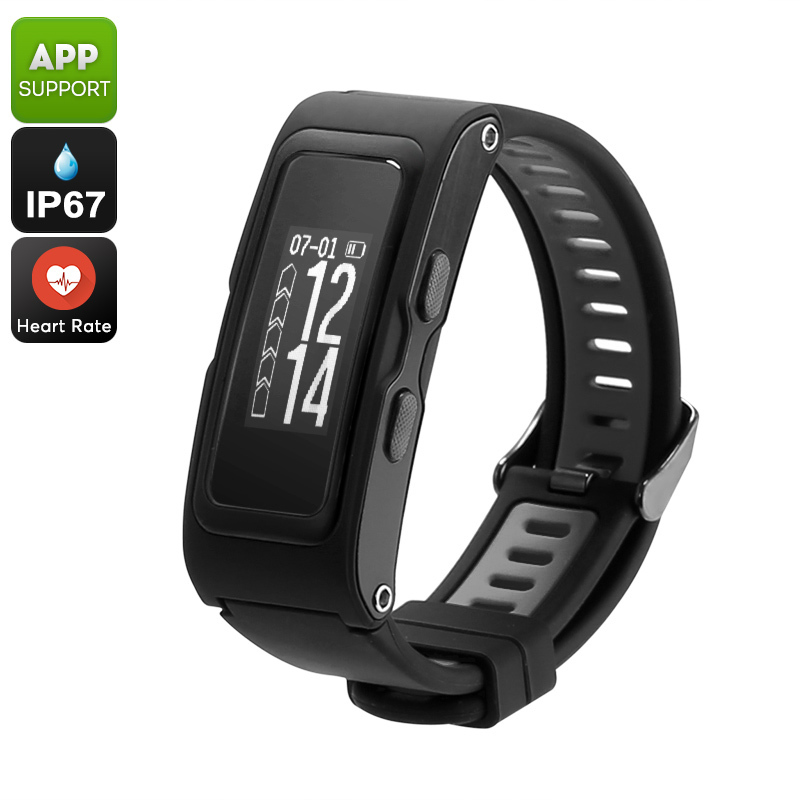 Successfully Added Fitness Tracker Bracelet - Real-Time Temperature, Pressure, Altimeter, Pedometer, Heart Rate, GPS, IP67 Waterproof (Black) to your Shopping Cart. So much more than a basic fitness tracker, this Bluetooth watch treats you to a wide range of high-end sports features. Naturally, it treats you to all the basic smart health and fitness features such as a pedometer. Thanks to this, you’ll be able to keep accurate track of the distance you cover per day to make sure you’ll always meet your daily activity levels. It also comes with a heart rate monitor. With this info at hand, you’ll be able to adjust the intensity of your workout as to meet your personal demands. This means that you’ll reach your upcoming fitness goals in the most efficient and healthy manner. Besides its basic fitness features, this Bluetooth sports band come with a number of advanced options. It is capable of providing you with real-time information on the current temperature, air pressure, and height of your location. These advanced features come in particularly handy for all the outdoor lovers among us. With its IP67 waterproof design, you’ll be able to wear and use this fitness band in any imaginable weather condition. It even comes with a built-in GPS that lets you track back your exact steps taken during your previous hikes. With Bluetooth 4.0 support, your fitness tracker bracelet is compatible with both iOS and Android phones. When paired, you’ll be able to watch back and analyze all previously obtained data via the dedicated mobile App. The watch itself comes with a 220mAh battery that gets you through multiple days of regular usage. With its sedentary reminder in place, you can be guaranteed that you’ll never miss out on a workout session again. Additionally, your sports tracker lets you set alarms and daily targets to further motivate you to workout. This fitness tracker bracelet comes with a 12 months warranty, brought to you by the leader in electronic devices as well as wholesale electronic gadgets..